In European societies, knowledge is often pictured as a tree: a single trunk – the core – with branches splaying outwards towards distant peripheries. The imagery of this tree is so deeply embedded in European thought-patterns that every form of institution has been marshalled into a ‘centre-periphery’ pattern. In philosophy, for example, there are certain ‘core’ subjects and other more marginal, peripheral, and implicitly expendable, ones. Likewise, a persistent, and demonstrably false, picture of science has it as consisting of a ‘stem’ of pure science (namely fundamental physics) with secondary domains of special sciences at varying degrees of remove: branches growing from, and dependent upon, the foundational trunk. There is a right way and a wrong way to get this new picture of knowledge off the ground. An epistemic pluralist claims that just as a banyan tree has many different but equally valuable roots, so there are many different but equally valuable ways of interrogating reality. The wrong way to fill in the picture is to think that a ‘way of interrogating reality’ consists in a collection of what Paul Boghossian at New York University has called epistemic principles, general normative propositions that specify under which conditions a particular type of belief is justified. That is, we should resist any temptation to say, for example, that as modern science justifies its claims on the basis of observation and testing, so pre-modern societies justified theirs on the basis of divination and witchcraft, and each sort of epistemic principle is therefore just as correct as the other. 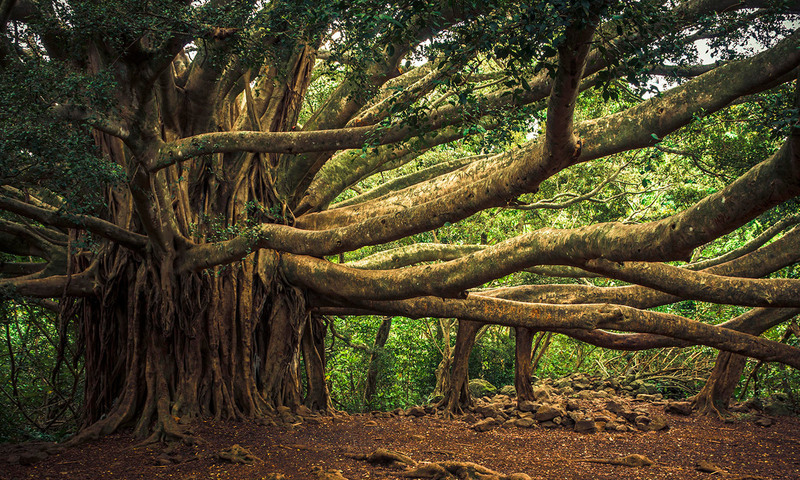 That would lead down a slippery slope into relativism and social constructivism – to a forest of trees isolated from one another, and not to the single organic epistemic system that the image of the banyan tree represents. Here is an analogy. Think of a route up a mountain as a guide to performing the action of reaching the summit. There can be different routes up the mountain, with different benefits and drawbacks, but equally good for the ultimate goal of reaching the top. One path might be steeper but shorter, another more scenic, another better served with teashops. Walking up clockwise is incompatible with walking up anticlockwise, though in both cases one does reach the top. The existence of a plurality of equally good ‘approaches’, does not entail that we cannot evaluate them according to some standard of better and worse. The appropriate norm of evaluation is not the binary standard of truth versus falsity, which excludes plurality. Rather, a stance is evaluated as being well- or ill-advised, conducive to certain ends, easy or difficult to administer. So one can order stances: as a strategy for reaching the summit, taking one step forward and two steps back is a very bad one. The second major innovation of the Jaina was to insist that we must adopt stances non-dogmatically, meaning that I can acknowledge the value of your way of interrogating reality while pursuing an alternative path myself. To say mine is the only correct one is to commit what they describe as an act of epistemic violence (hiṃsā). This is just to acknowledge that the ordering among stances is a partial one: some pairs of stances can be equally good, by the lights of the standard of goodness that stances are responsible to. The mountain is metaphysically complex, its variously shaped sides offering different aspects to the climber and so different potential routes to the top. Rejecting the idea that things have a single unique essence, the Jaina instead say – and this is their third theoretical innovation – that reality is in some sense manifold or multifaceted (the Sanskrit term is anekānta). ‘The real thing, whose essence is multifaceted, is the domain of all acts of awareness; an object qualified by one facet is known as the province of a standpoint (naya),’ said the 5th-century Jaina thinker Siddhasena in Nyāyāvatāra. ‘The real thing, both external and internal, endowed with a form that is under the sway of muliplex essential natures not separate from each other, unfolds itself to all epistemic principles (pramāṇa),’ added Siddharṣigaṇi. Whichever route is selected, each mountaineer is in principle able to avail of the same tools and techniques, the same crampons, maps and axes; but the mountain unfolds itself differently to every one. The toolkit of the responsible enquirer contains empirical observation, logical techniques of deduction, induction and inference to the best explanation, and the pooling of discovery through testimony. But there is no single correct way of using those tools in one’s interrogation of reality. Epistemic stances are not exactly like routes up a mountain. It is not so much that each stance interrogates a part of reality as that each aspires to interrogate the whole of reality, but does so in a particular manner. Nāgārjuna, the Buddhist philosopher of the Middle Way, devised a technique to approach reality from a structural or inter-relational point of view. Kaṇāda, the sage of the Vaiśeṣika school of philosophy, found a way to study reality in terms of its ontological categories. It would be an error to dogmatically infer now that reality is only structure or that it is only category. Similarly, modern science is an epistemically plural undertaking, despite the official narrative. Science excels in producing descriptions of causal connections and providing for their explanation; but there are other ways to interrogate the reality we share. The picture of knowledge as a banyan tree encourages a certain epistemic ideal: that these different but commensurably valuable sources of epistemic nutrition can belong within a single epistemic organism. Of all the departments of knowledge within a modern university, it is philosophy that seems most addicted to the centre-periphery picture of enquiry, to the old European tree. 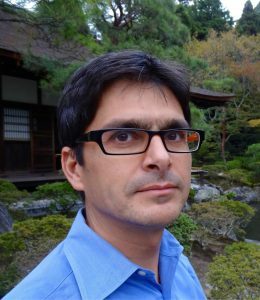 Were it able to re-imagine itself according to this new ideal, its practitioners would find themselves freed from their terror of not being quite ‘at the centre’, and the profession might finally emerge from its long struggle to overcome its inability to conceptualise diversity in content and composition.